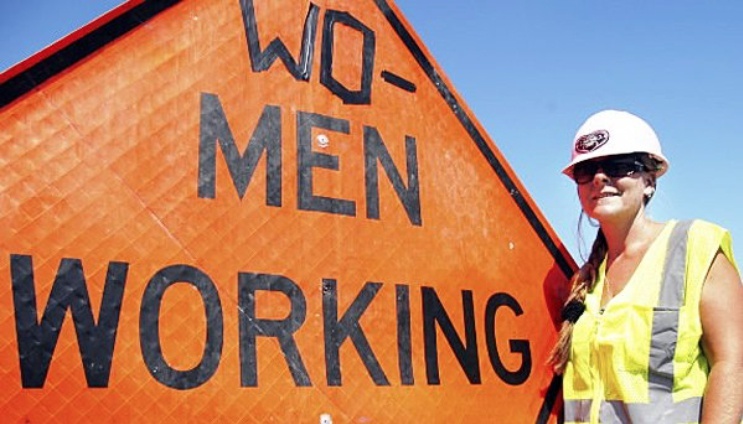 How many women do you know who work in construction? Well currently, there aren’t that many right? But those numbers are growing…. At the moment women make up just 11% of the entire workforce in the construction industry, but even this figure includes many who work behind a desk, often in design, management or secretarial roles. On building sites themselves, it is estimated that 99% of workers are men. Encourgaingly however, the rate at which women are joining the construction industry is at an all-time high - with four times as many entering the industry now, compared with 5 years ago. Global HR services firm Randstad estimate that women are expected to make up a quarter of the UK’s construction workforce by 2020, and that significant progress has been made in encouraging women into construction over the last decade. This improved diversity and inclusivity will play an important part in counteracting the emerging skills gap. More than a million extra workers are needed by 2020 to keep up with UK growth and build the necessary 300,000 new homes a year. Women are expected to account for a sizeable portion of that. 82% of people in construction agree there is already a serious skills shortage and 72% say there is a mismatch between the availability of work and the capacity to keep up, so there are plenty of opportunities for anyone wanting a career in construction - regardless of their age, gender, ethnicity, orientation or background. Women could soon make up to 50% of this new workforce and, with the majority of construction firms now actively working to hire women, this could equate to an 80% increase in the number of women in construction. What do you think? What skills do you think better representation of women and diversity would bring in the construction industry?